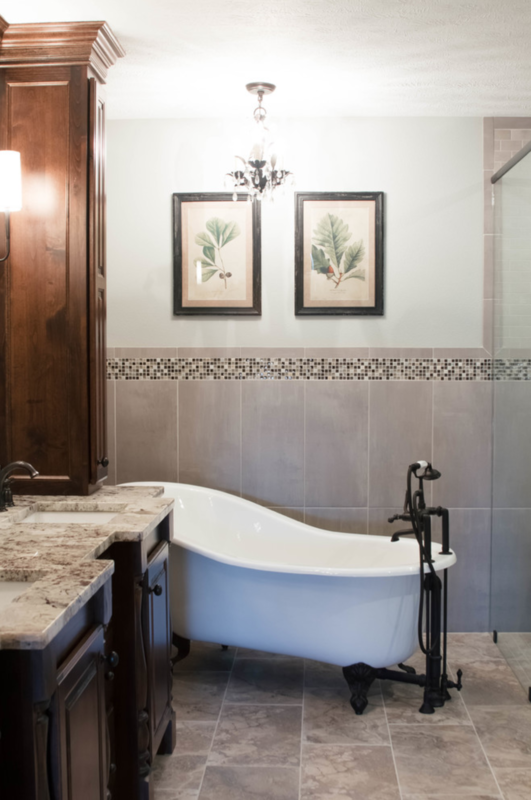 This master bathroom has a spa-like feel with a zero-threshold open concept shower and cast iron claw foot tub. 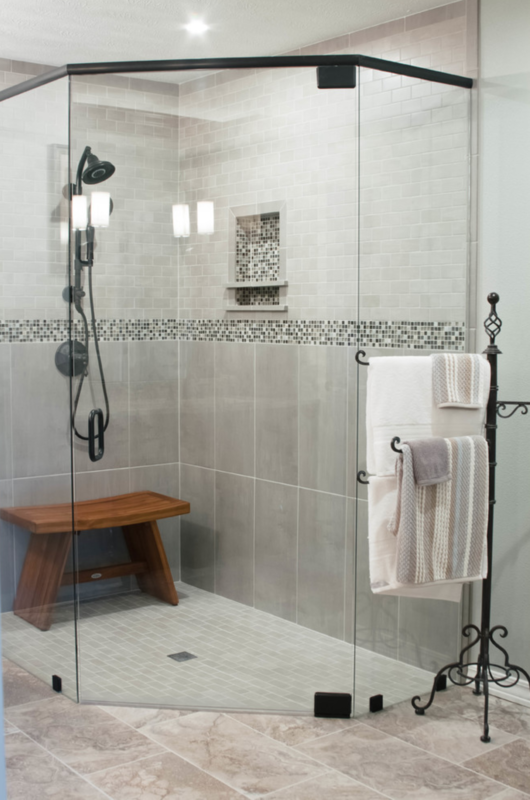 Beige-grey tile keeps the color scheme neutral while the glass tile mosaic adds a bit of modern elegance A mini chandelier hangs over the tub. 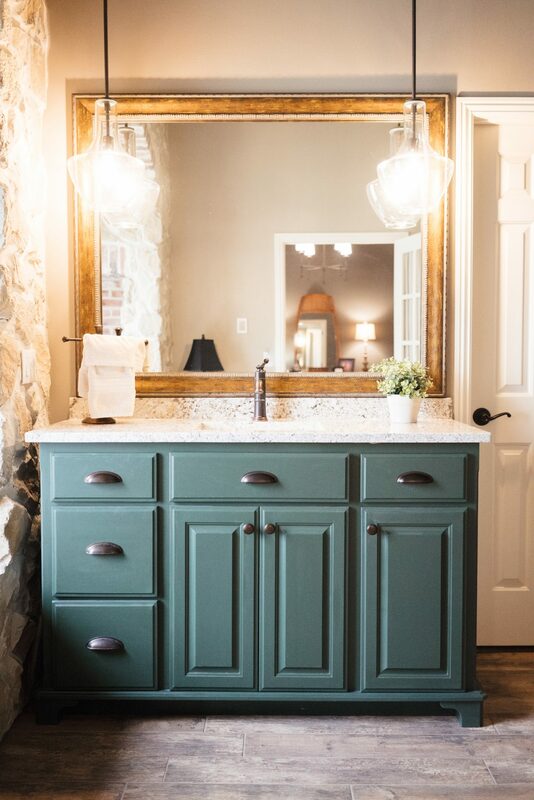 The custom cabinetry with varying depths features Cambria quartz countertops and flat-bottomed rectangular sinks. 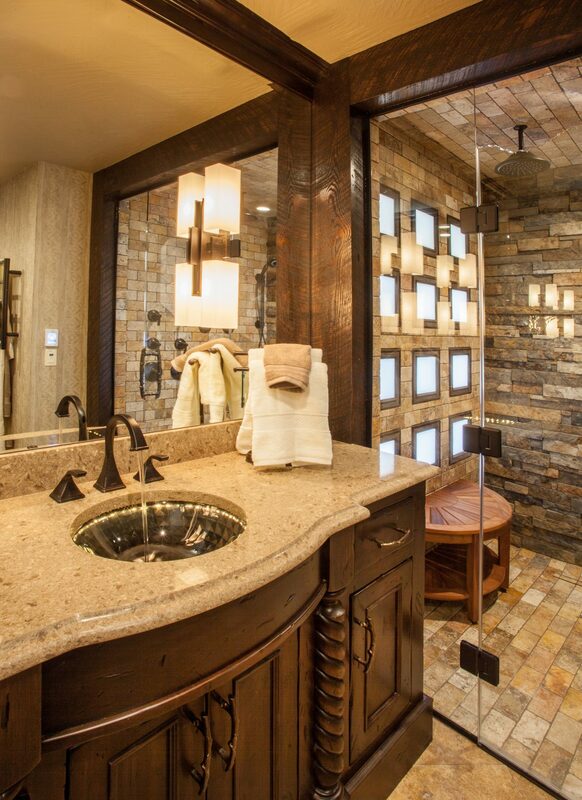 The dark stain offsets the neutral color scheme and mirror-mounted sconces give maximum light. Pale green walls anchor botanical prints. 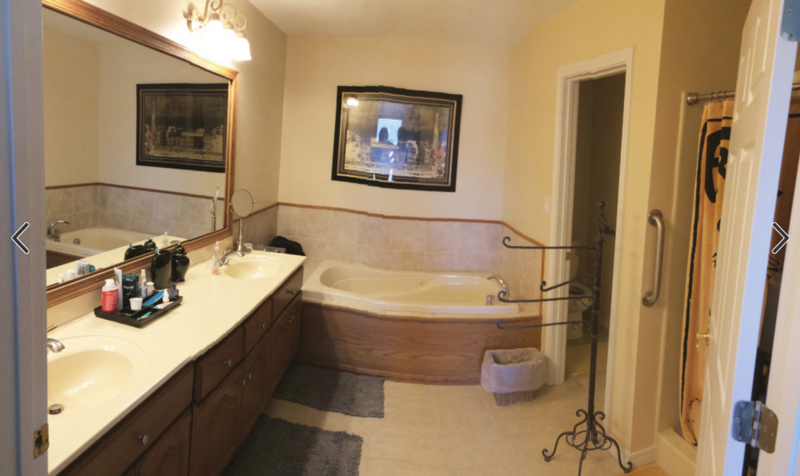 We finished a master bathroom remodel with Gina and the entire experience was amazing! She listened to our wants and desires and exceeded our expectations. During the design phase, we knew we trusted her completely. Her professionalism, work ethic, and design skills are impressive. 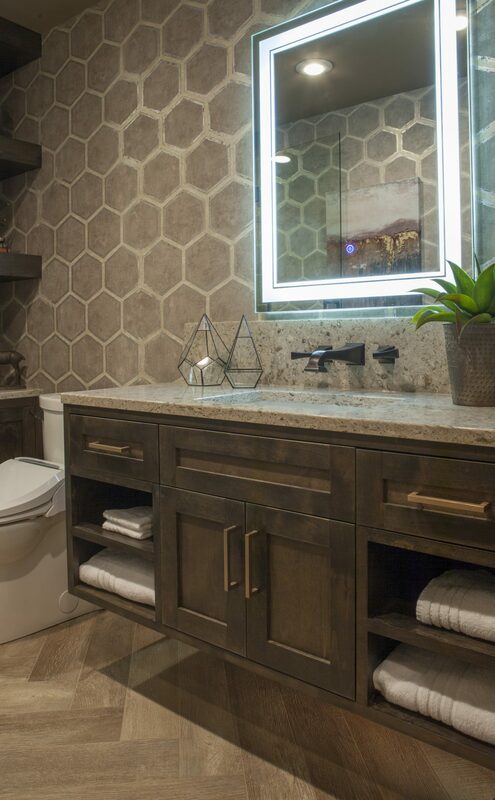 The finished product is a dream master bath. We will only use Gina McMurtrey Interiors for our next project!" 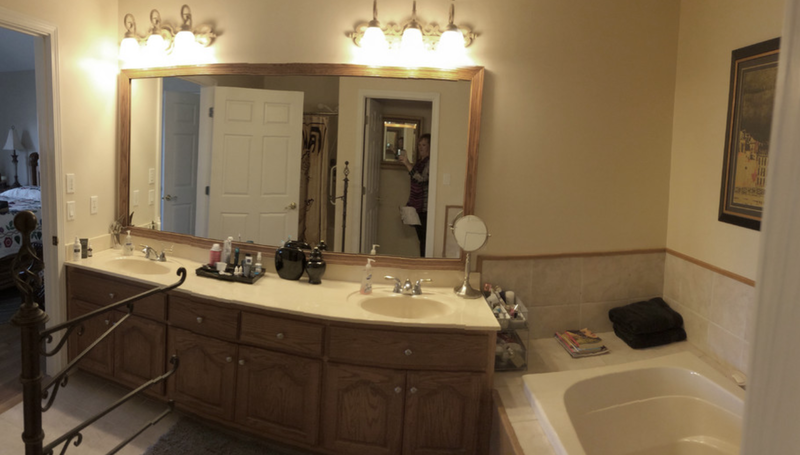 My husband and I hired Gina McMurtrey Interiors to assist in re-modeling our Master Bathroom after we consulted with Gina on artwork and paint color for our Home Office. 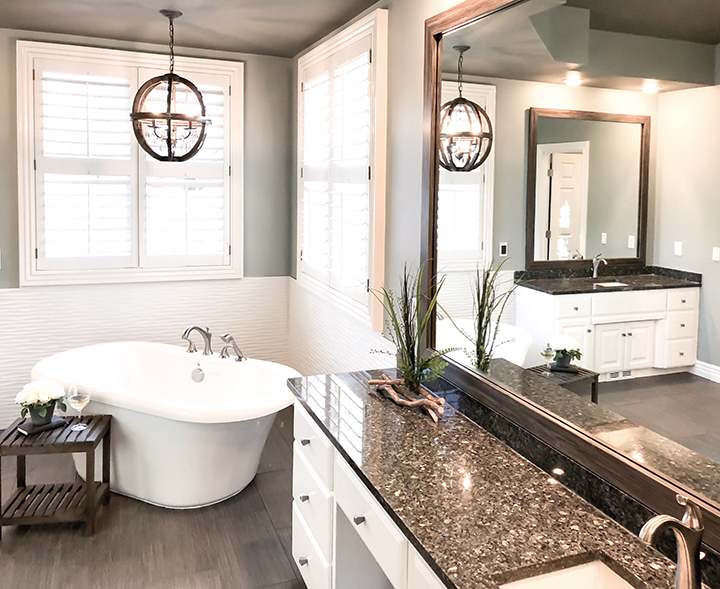 We would describe Gina's attributes as an Interior Designer and Project Manager as: Creative, Customer Focused, Professional, Responsive, Conscientious, Thorough and a Pure Joy to work with during ALL phases of the project. 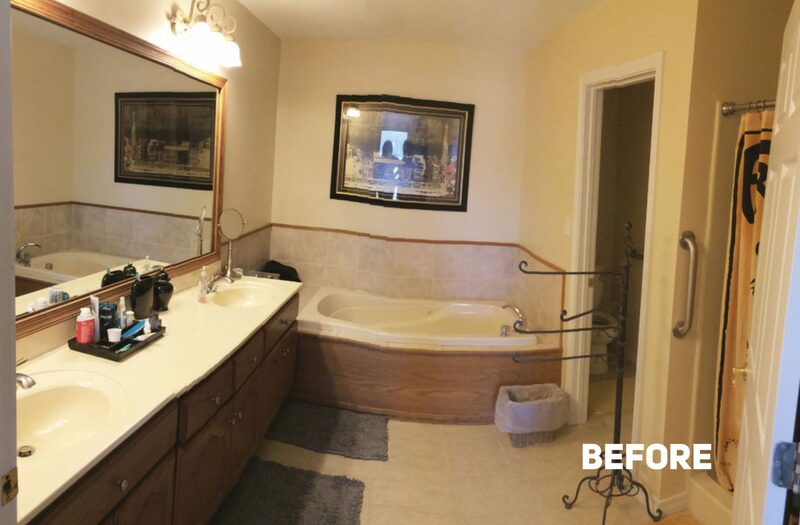 We transformed our Master Bathroom, which was outdated by about 15 years, into a modern "spa like" retreat. 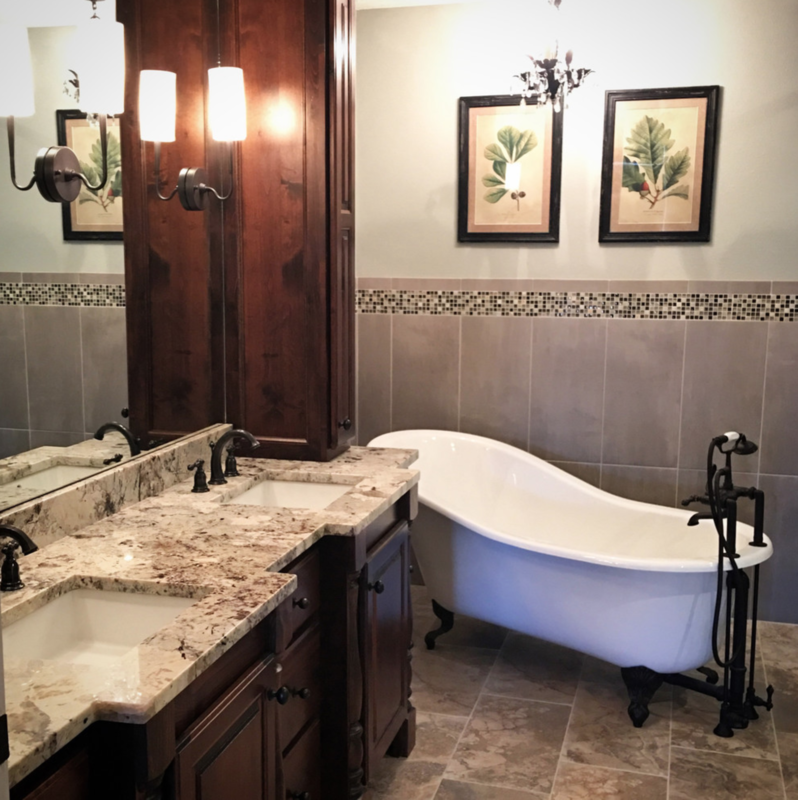 My husband and I were also extremely impressed with the quality of contractors she hired to come to our home. We were so confident in Gina and the contractors, we left our home for a week of vacation in Florida - that is TRUST. 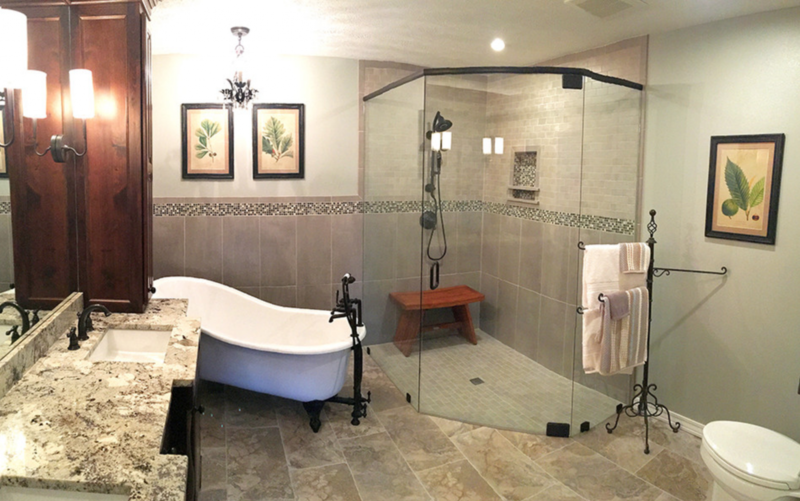 I would highly recommend Gina McMurtrey Interiors and look forward to other projects in the hear future. Gina’s talents are creativity and imagination. I worked with Gina to create a space that was warm, eco-friendly, comfortable, and unique. Gina’s expertise is to envision the space by considering function, flow, fabric, color, light, and overall impact. Her design process and inspiration lead to exceptional results. I couldn’t be more pleased with her work! She is a consummate professional that goes above and beyond expectations. 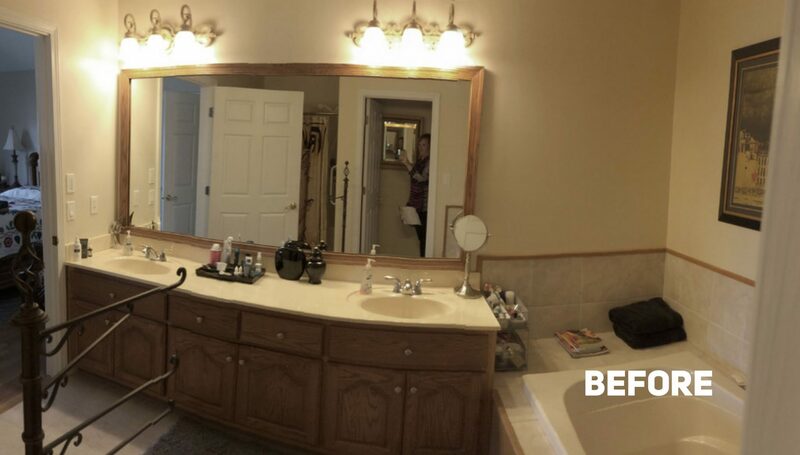 Transforming dated spaces throughout the greater Springfield and Southwest Missouri areas. 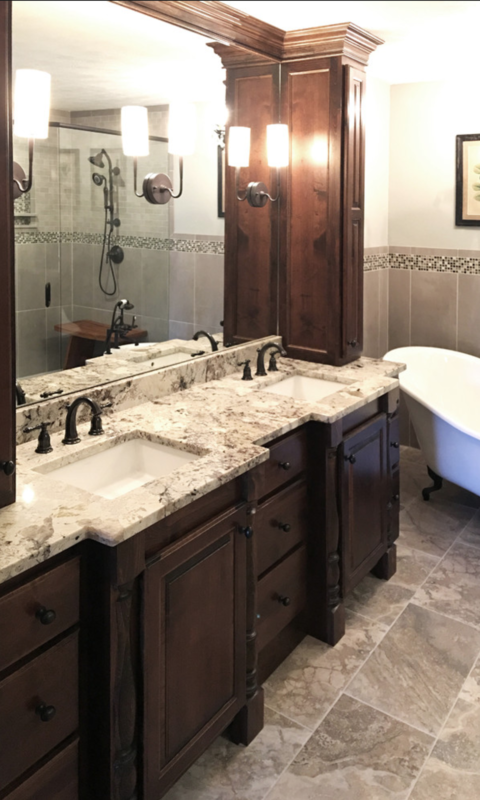 Stay up to date on the latest from Gina McMurtrey Interiors LLC, and be in the know!